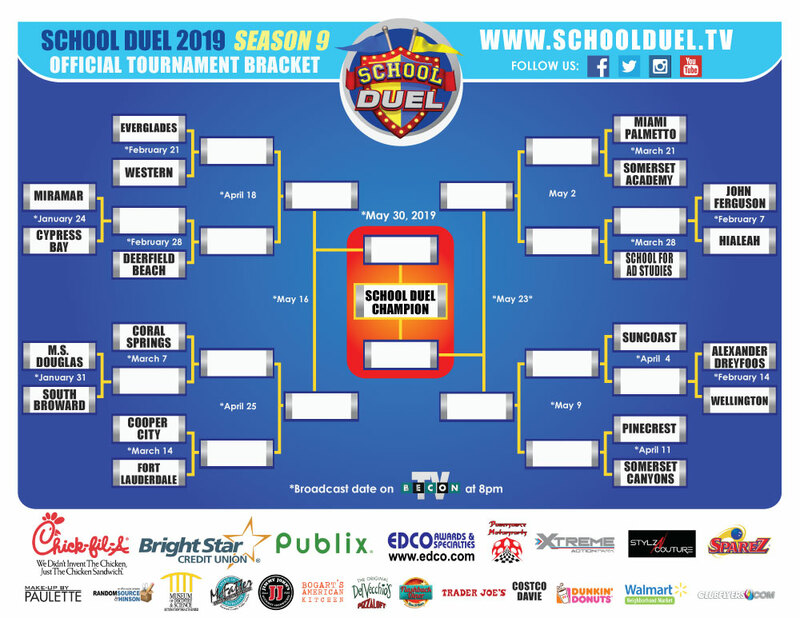 School Duel airs Thursdays at 8pm on BECON-TV according to the schedule below. Shows will also be rebroadcast on Saturdays and Sundays @ 10:00 a.m. Copyright 2019 BECON-TV and BrightStar Credit Union. All rights reserved. All trademarks and logos that appear on this site are the property of their respective owners.